Mario Kfoury is a private investor with credentials in martial arts, physical education, real estate, aviation and Technical Analysis. Self-taught in the streets of Beirut, Brussels, London, LA and New York, he synthesizes his views on life through different disciplinary and cultural prisms in favor of a peaceful/secular agnostic Deism. The story he shares appeals for democratic-socialism founded on sensible educational and healthcare systems, rigorous tax regulations; and cautions against the perils of religious beliefs, demography, and the reckless attitude towards the planet and its ecology. Coffee Shop University: A Book about Mythology, Spirituality, Philosophy, Psychology, Religion, Politics, Economics and the Ecology... by Mario Kfoury is a nonfiction read that deals with powerful existential, religious, philosophical and realistic themes. The book reads like the author’s mental journey; its confrontation with the harsh realities of life, a departure from mainstream contemporary culture to adopt a solution-oriented mindset. In this book, the author shares personal experiences and combines Western thought with Eastern philosophy and spirituality to compel readers to look reality in the face, opening their eyes to dread truths about human nature, and offering reflections on topics such as existence, change, conflict, truth, well-being, purpose, and many things in between. This is a book that will appeal to philosophers, theologians, moralists, and sociologists, a multidisciplinary book that is intelligently written, thought-provoking and laced with deep insights. Every page is filled with astounding wisdom. The author interacts with life and with philosophers from the beginning of the history of human thought, featuring Socrates, Plato and many others. Mario Kfoury makes relevant references to great thinkers like the Tao, Albert Einstein, Dharma, and many others. I was particularly excited by the depth of thought and the clarity of expression. For instance, about war, for instance, he states: “Any fight, no matter the form or style, is a balance of stamina, distance and timing.” A bit further down he observes that war is nothing other than an individual fight on a collective scale and it never reaches a final verdict nor a perfect settlement. I learned that the greatest victory is one that requires no battle. Coffee Shop University: A Book about Mythology, Spirituality, Philosophy, Psychology, Religion, Politics, Economics and the Ecology... is a book for readers who want to take life seriously and who love to indulge in mental labor. 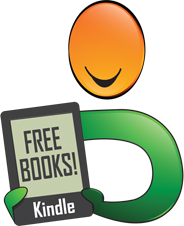 The writing is excellent and accessible and the ideas are expressed with vivid clarity and simplicity of phrase. Coffee Shop University by Mario Kfoury takes us on an almost 10,000 year journey through the history of man's attempt to understand the Universe and his place in it. Through the life of the author, born in Beirut now living in California, we examine and briefly look at all of the great philosophies of humankind, from the teaching of Buddha, Confucius, Lau Tsu, right through the history of man, up to today's new understanding being uncovered in the area of quantum physics. The author also casts a scathing eye across the bastardisation of good teachings at the hands of organised religion. The ultimate conclusion appears to be that life is a never ending search for knowledge and social justice. Our lives and the future direction of humanity are in our own hands. We, as individuals, can and should make a difference to our world. As a starting point for examining the purpose of our life, Coffee Shop University is a useful tool. The author, Kfoury, has clearly done his research well and I suspect there are very few philosophies or religions he has failed to cover in this book. The size of the book has meant that many important and interesting theories are given no more than a passing mention. As I said, if you are looking for something that lays out the full gamut of man's spiritual journey on this earth to allow you to find something of interest to further examine, then this would be a great book for that purpose. I did find Coffee Shop University an enjoyable read for two reasons; the author has similar beliefs to my own with respect to man's point in being, and because of the breadth of history he managed to cover, albeit just touching the surface. A good, solid introduction to philosophy and worth the read. Coffee Shop University: A Book About Mythology, Spirituality, Philosophy, Psychology, Religion, Politics, Economics and the Ecology can best be described as a collection of thoughts, musings, and reflections by Mario Kfoury on variety of subjects, most of which are in the realm of metaphysics, psychology, and philosophy. Coffee Shop University starts off with a self-introduction by Mario and then the book is broken down into simple chapters, each usually dealing with a certain point in Mario’s life. As Mario tells some of his life story in these pages, we learn about his background from Lebanon, his experiences in America and Europe, some of the influential people in his life, his various professions which included hard physical training in the gym, and of course his own philosophical ideas and discourses on life and its meaning. In Coffee Shop University, Mario touches upon various topics and ideas from the Eastern philosophies such as Hinduism, Buddhism, Jainism, Taoism, and more, along with ancient Greek philosophy and notable teachings from these fields. Not only this, Mario also discusses aspects of psychology and the scientific movement of the last few centuries, along with thoughts on economics, politics, religion, spirituality, and existential questions about prophets, God, meaning of life and death, and the universe. 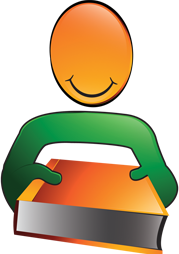 The writing style is pleasant to read, and is very straightforward, engaging, and interesting. I liked reading about some aspects of his life and, more importantly, his fascinating ideas and insights about life. I would highly recommend this book. Coffee Shop University by Mario Kfoury begins in Bailey's Gym, Los Angeles, California in the fall of 1999, but it gives the reader a glimpse of the great minds of spirituality, philosophy, religion, psychology, ecology and economics of the last few centuries, as well as our reality today. In fifteen concise chapters, we also get to know the life and mind of the author as he does the business of living. The book navigates from Confucius and Buddha, to Aristotle and Plato, and to Elliot, who studied the movement of the prices of the stock market and commodity futures market. If that may sound like an intimidating read, the reader will be in for a surprise because, above all, this book tells of one man’s journey to find the meaning of life. Mario Kfoury’s Coffee Shop University does not try to examine the minds of the great thinkers of the world. Instead, he tells his own unique story and his experiences as he tries to make sense of our complex and ever changing world. Born in the Middle East, having lived in Europe, and now residing in the United States of America, Kfoury’s view is unique because he traverses different cultures as well as careers. The book closes with a chapter on the Final Call, and a note on the golden principles setting readers on a path of reflecting, understanding and, most probably, getting a seed of a foundation on how to find ourselves in the whole grand scheme of this thing called life. Mario Kfoury has lived a life much like any of us, but as he continued on he chose to change that life, seeking out a greater purpose to it. Finding it in not just one religion, or even just in religion at all, but also from a number of other aspects of economics, politics and more. Understanding the world around you and how you fit into it isn’t easy, but in Coffee Shop University, Mario Kfoury has given us a bit of a jump start. There are different aspects of the world and different things that have happened which can influence the way you see yourself. Religions, politics and a whole lot more play a role in our lives and who we become as human beings, and this book is a crash course in those things. There’s a whole lot more to life than just going on from one day to the next and Mario Kfoury has definitely figured that out. In this book you not only follow his life and evolution, but get the information you might need to start checking into your own improvement. Whether it’s learning about Buddhism and Hinduism or different aspects of history, you’ll see there is a whole lot to growing yourself. 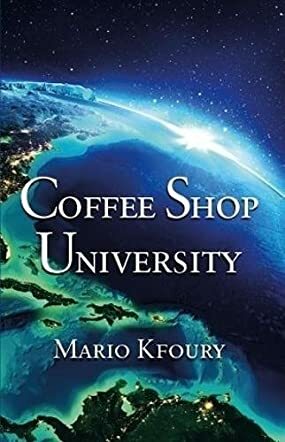 Short stories throughout this book help you see where the author has been and where they’re coming from as you continue your own journey in Coffee Shop University by Mario Kfoury. It’s all about his story at the same time as the advice, and that’s a great way to really see how the process can work, because it’s been done once, and can definitely be done again ... by you. The book is full of philosophical truths and wisdom. After reading a few pages you have to stop and contemplate. It is also written a bit like old Greek philosophy books such as Plato's dialogues, but in modern style. I enjoyed the casual sit down cafe scenarios that suddenly go way deep into mindful discussions. I highly enjoyable and recommendable book. Mario Kfoury has done an excellent job describing how spirit science, philosophy and the teachings of the ancients are highly relevant to trading today. He describes his personal journey on the path to awakening to a higher wisdom and how this wisdom enlightened his own trading. Mario describes beautifully how technical analysis and the irrefutable laws which govern all of our existence can be linked into a model that can help you make better trading and investment decisions. I highly recommend this book to anyone who is seeking true mastery of trading and of life. We need this perspective in the financial world which is dominated too much by ego and false values. Mario Kfoury will make you re-think what the essence of life is all about. 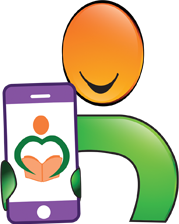 For a new kid on the block, he writes with his heart and soul. More importantly the author delivered his experience and message with substances. Looking forward to read other readers reviews. It reads like something never written before. Impressive and inspiring. This book is taken from the life of a well-read writer about Mythology, Spirituality, Philosophy, Psychology, Religion, Politics, Economics and the Ecology. 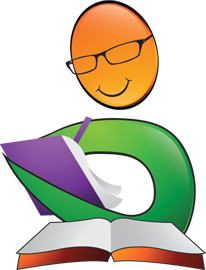 In fifteen summary chapters, we can get to know the life and thoughts of the writer. From a life that had to escape for a better future, which has finally succeeded after hard work. Starting from his background in Lebanon, his experiences in America and Europe, some of the influential people in his life, his various professions which included hard physical training in the gym, and of course his own philosophical ideas on life and its meaning. This book will help you to re-think about who you are, what you expect from life and how you can achieve your ambitions. Personally this book touched me because is taken from a real story.